Greetings cardfighters! As most of you know, normally my articles are coverage on the state of the metagame, new cards, or a tournament report. This week I'm shifting the topic to something entirely different yet I feel it is very important to the Vanguard community. As some of you know, Bushiroad announced Cardfight!! Online earlier this summer and its release is supposed to be sometime around the holidays. If you have not seen the promotional video, you can do so HERE. Now seeing a TCG jump on the online gaming scene isn't anything new. Magic: The Gathering has Magic Online, Magic Duels, and several others. Officially, Yu-Gi-Oh! has Duel Arena and Legacy of the Duelist. There are also popular unofficial clients such as Dueling Network and DevPro. Even Pokemon has Pokemon TCG Online. Lastly of course, there is the current titan of online card gaming: Hearthstone. So what is so special about what Bushiroad is doing for Cardfight!! Online? First we need to clarify what Bushiroad has done in terms of advertising the game thus far. Cardfight!! Vanguard is a pretty new TCG in comparison to Yu-Gi-Oh!, Magic, and Pokemon and it is unknown in the mainstream. To clarify, Magic the Gathering has been around since the early 1990's and is the godfather of Trading Card Games. Everyone has at least heard of it. Pokemon is a gigantic franchise that has many other outlets such as the video games, toys, the TV anime, movies, and so on. Yu-Gi-Oh! has been around for over ten years and initially was a very popular, mainstream game. Everyone in your elementary school knew about the Blue Eyes White Dragon right? While that certainly isn't the case anymore in regards to mainstream attention, Yu-Gi-Oh! is still one of the most popular games in the TCG community and its playerbase has aged along with the game. Bushiroad however has done next to no advertising for their games. What do I mean by that? Besides from going to somewhere like Anime Expo, Gen Con, or simply going to a card store, you usually don't see Cardfight!! Vanguard anywhere else right? Bushiroad doesn't sell to retail stores and they don't air their anime anywhere else other than Youtube or Crunchyroll. In other words, it is not on mainstream TV unlike Yu-Gi-Oh! and Pokemon (at least for the English game). Now don't get me wrong, Vanguard is still doing pretty decently and its playerbase has visibly grown in comparison to the game's launch in 2012. Regional attendances have gone up and more players are participating in online forums and on Facebook groups. But the point is Vanguard until now has just used word-of-mouth marketing and only people who have been active in the TCG scene in the past few years would have heard of it. Compare that to say, your Blizzard gamer who picked up Hearthstone when it launched and you can see the difference. So where am I getting with this? It's important to note that Cardfight Online was recently greenlit by Steam this past week and will be launched on it presumably upon release. If you don't know what Steam is, it is the largest distributor on the internet for online games. Being a PC gamer is essentially synonymous with Steam, there are thousands of games you can download off Steam for free or for very inexpensive prices. It also has its own client for communications between Steam accounts. This is by far Bushiroad's biggest push for Cardfight!! Vanguard and I presume that is one of their reasons for making Cardfight!! Online in the first place. From what we know, the game will use the Freemium model (pretty much what Hearthstone is doing) and there will be online tournaments. 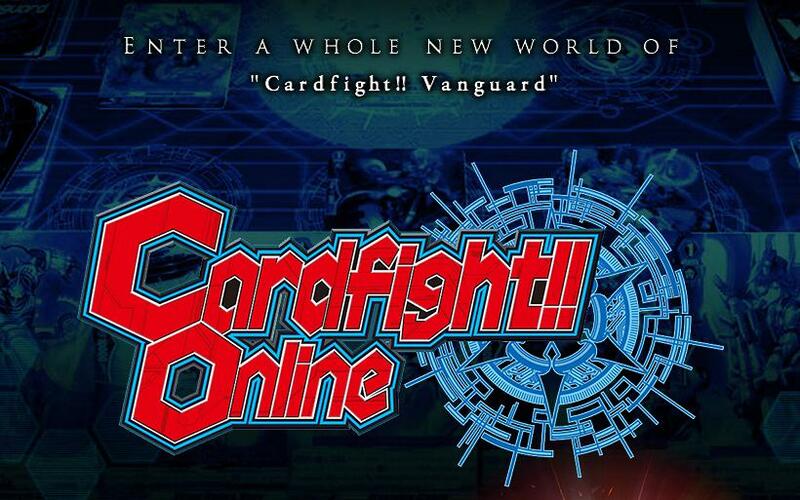 Bushiroad thereby covers multiple goals with Cardfight Online: advertising the game on Steam, gaining profit via the Freemium model, and hosting online tournaments to further continue interest in the game. It is also worth noting that Pokemon and Yu-Gi-Oh! games currently have no presence on Steam. So what does this mean for the game's future? The physical card game will of course continue, Cardfight!! Online is meant to supplement it and draw in new players. From what can be seen in the promotional video, the game is certainly well refined and visually appealing in comparison to the basic programming of other games like Magic Duels and Dueling Network. First impressions are vital for the modern human psyche and mediocre graphics can be a turn-off, which Cardfight!! Online doesn't appear to lack. With the game being launched on Steam, gamers who might have never played a card game before may notice it and try it out, hopefully bringing them into the game. Who knows, perhaps a famous streamer for some other game may try Cardfight!! Online and love it, thereby spreading the game to all of his or her viewers. Could the game even challenge Hearthstone? Probably wishful thinking but it is certainly possible, and my guess is Bushiroad is betting on that. At the very least, Cardfight!! Online is sure to bring at least some new players into the game and we can expect the franchise to grow bigger in 2016 as a result. Until next time, Play Hard or Go Home!